Sultan Bin Sooud Al Qassemi will discuss social responsibility and the role of art in creating change. 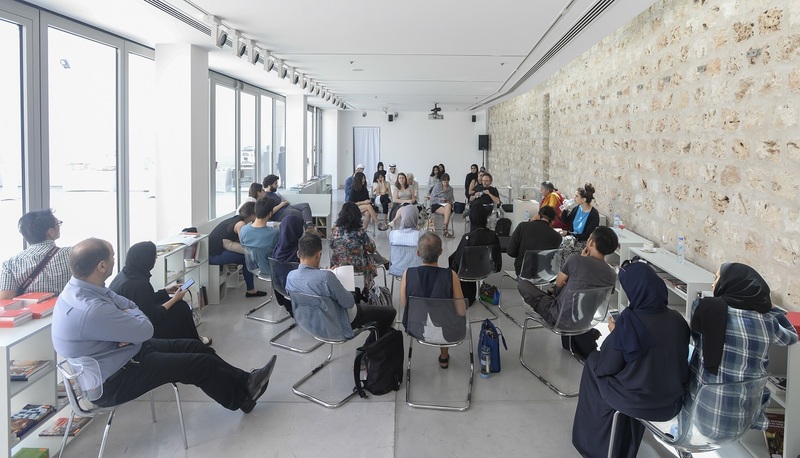 Discussions is a series of guided visits to Sharjah Biennial 13 followed by discussion sessions led by professionals in their fields. Each session will focus on a specific topic that is present in SB13 artworks. Session topics will include art and social change, architecture apart, art in exile and the fine line between art and architecture. Sultan Sooud Al Qassemi is a UAE-based columnist whose articles have appeared in The Financial Times, The Independent, The Guardian, The Huffington Post, The New York Times ‘Room for Debate’, Foreign Policy, Open Democracy and The Globe and Mail as well as other notable publications. Al Qassemi is also a well-respected commentator on Arab affairs on Twitter. Rising in prominence during the Arab Spring, his tweets became a major news source, rivalling the dominance of leading news networks. TIME magazine listed him in the ‘140 Best Twitter Feeds of 2011’. Since that time, he has continued to write and tweet about the Arab world from his home in Sharjah and presented a number of lectures internationally. In 2014, Sultan was named an MIT Media Lab Director’s Fellow. The Director’s Fellows programme aims to develop an extensive and diverse network to address key global challenges through technology and innovative ideas and projects. Al Qassemi is also the founder of the Barjeel Art Foundation, an independent initiative established in Sharjah to contribute to the intellectual development of the art scene in the Arab region by building a prominent and publicly accessible art collection in the United Arab Emirates. In the first quarter of 2017, Barjeel Art Foundation inaugurated exhibitions at the Institut du monde arabe in Paris, Yale University Art Gallery in New Haven, US and the National Gallery of Jordan in Amman.